You journey begins today as you arrive at Livingstone Airport where you’ll be met and transferred to The Royal Livingstone. Settle in and enjoy the views from this hotel, located on the banks of the mighty Zambezi River. The following two days are spent taking part in a range of exciting adventure activities like bungee jumping, white water rafting, elephant-back safaris, and boat rides on the river. Situated only a short distance away from the legendary Victoria Falls, you’ll have the opportunity to marvel at this incredible sheet of falling water and take advantage of the fantastic photo opportunities.Breakfast included. 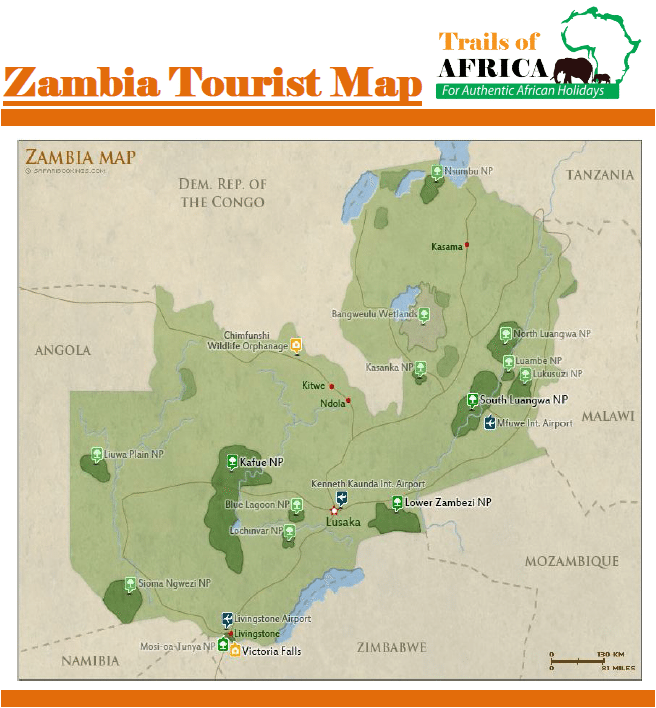 Today you will transfer back to Livingstone Airport where you’ll board your connecting flight to Kasaka River Lodge in the Lower Zambezi region. Arrive at Kasaka River Lodge, a luxury tented camp overlooking a different, and equally beautiful, section of the river. Settle in and relax beside the river where elephant come to drink in the late afternoon.Breakfast, lunch, dinner and drinks included. Situated a mere 20 minutes’ drive from the wildlife rich Lower Zambezi National Park, you’ll spend the next few days searching for wildlife on thrilling game drives. A guided walking safari will bring you closer to the ecosystem to learn about the Zambian bush, while a boat cruise down the river will have you admiring the resident hippo and other animals that come to the river banks to drink and graze.Spend the hottest part of the day cooling off in the pool, enjoying a relaxed canoe ride down the river, or trying your hand at fly fishing. A visit to the nearby village will bring you in contact with the locals and give you the chance to learn about their lifestyle and culture.Breakfast, lunch, dinner and drinks included. Enjoy one more breakfast in this beautiful setting before you fly back to Lusaka and board your outbound flight home.